Improbable Destinies is a delightful book. It is hard science with a very personal and human touch. Jonathan Losos is an expert in the field: professor of biology, director of the Losos Laboratory, and Curator of Herpetology at the Museum of Comparative Zoology (all three positions with Harvard University). His scientific credentials are apparent throughout the book. It is thoroughly researched and referenced, with 10 pages of notes at the end (prefaced with the comment that they are “not exhaustive.”). 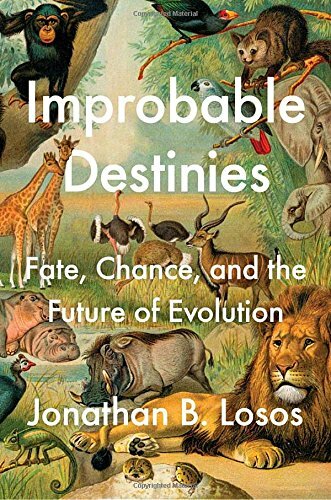 What is also apparent throughout Improbable Destinies is his love and passion for both the subject and for the people who are involved in evolution research. In 1989, Stephen Jay Gould wrote an amazing book about evolution. 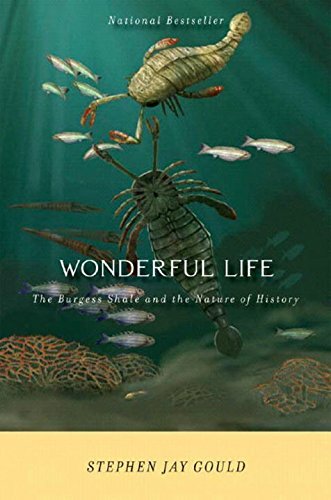 Wonderful Life explored the findings at the Burgess Shale fossil depository. Marvelous creatures abound there, creatures unlike anything we see today. Relics of an explosion of life millennia ago, they tell the story of creatures that inhabited the earth long before the dinosaurs–creatures that for some mysterious reason disappeared in a mass extinction. 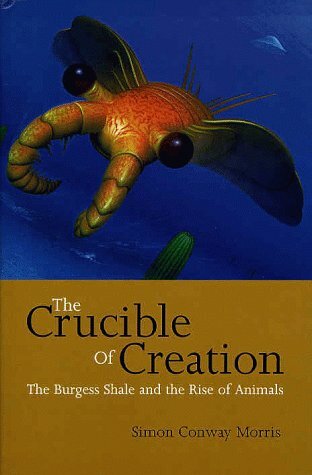 Gould uses the creatures of the Burgess Shale to make the point that evolution is random. Drawing his metaphor from the iconic Frank Capra movie, “It’s a Wonderful Life,” Gould posits that changing one thing in evolution–removing one “George Bailey” life form or one DNA change or one climate event–from the timeline would result in an entirely different evolutionary outcome. Gould suggested that testing this hypothesis was essentially impossible. It would require rewinding the clock and allowing millions of years of evolution to unfold again and again to see what the outcome was. But Gould’s conclusions have been challenged in recent years, most notably by Simon Conway Morris of Cambridge University (Gould actually is quite effusive in praise of Morris in Wonderful Life, but their professional differences are significant). 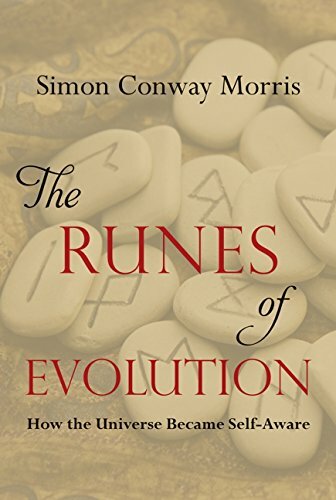 Morris believes that natural selection has much more predictable outcomes: The Runes of Evolution and The Crucible of Creation. Evolutionary adaptations are responses to natural stimuli, and given the same stimuli we often see very similar life forms evolve. Nose horns work well for rhinos and presumably did so for triceratops. Wings lift bats and birds just as they did pterosaurs. Sharks and whales and tuna all power through seas once patrolled by ichthyosaurs. The outcomes may not be identical, but convergent evolution is clearly powerful. Enter Improbable Destinies. Losos is a fan of both Gould and Morris, and his book acknowledges the profound contributions both men have made. He introduces us to new heroes in the field of evolutionary research. His book takes us to research sites in England and the Bahamas and Trinidad and exotic East Lansing. He looks at field studies of plants and lizards and fish and at laboratory experiments with yeast and e coli. Some of these experiments have lasted for decades. In some cases, scientists have even “rewound the clock,” reviving bacteria literally frozen years before in order to see whether the same adaptation occurs in their descendants as was observed in descendants of bacteria from the same source that was not frozen. Not to give the plot away, but the results are….complex. Science is. And the conclusions Losos draws are essentially that both Gould and Morris are right, and both Gould and Morris are wrong. Convergent evolution is an observable phenomenon. Unique species of anole lizards live on different Caribbean islands, but on each island there are species that share many similar characteristics filling different ecological niches. Cuban anoles that live in trees are different species from Puerto Rican anoles that live in trees, even though they look very similar. Their ecological niche has favored selection of babies that are well adapted to living in trees. Those adaptations make for similarly sized and shaped lizards from island to island, but they are still different species. Equally observable is the one-off life form: there are no real equivalents to platypus or kiwi or any number of other unique animals…including humans. Hairless, bipedal, tool-using apes with large brains may now live all over the earth, but amid the catalog of species they are unique in their adaptations to their environment. Improbable Destinies is a fascinating book. Part history, part mystery, all science and all amazing. It is written for an adult audience, though scientifically minded tweens and teens would love it as well. And if, like me, you read and loved Gould’s Wonderful Life, this is a fantastic book to bring you up to date on the current state of evolutionary science. I enthusiastically recommend it.